Because of the size of a horse, diagnosing GI issues can be challenging and require expensive specialized equipment. "Horses are large animals and the GI tract is a bit like a black box. It's in the middle of the body, making it hard to see inside without being invasive," says Dr. Renaud Léguillette, DVM, Ph.D., professor in the Faculty of Veterinary Medicine (UCVM) and Calgary Chair in Equine Sports Medicine. "You can use a long gastroscope, a three-metre long soft tube with a camera at the end, but it only reaches the stomach, not the small intestine. You can use ultrasound but the ultrasound doesn't penetrate very deep and the images don't always show what you need to see." 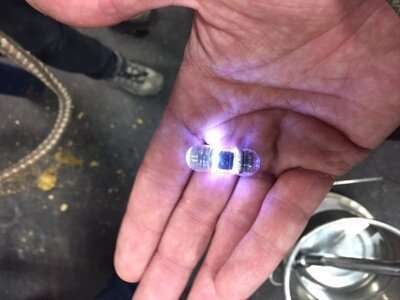 But a tiny device—barely larger than a Tylenol gel cap—may make things easier for both horses and veterinarians. Léguillette completed a clinical trial of a technique called capsule endoscopy, which involves a horse ingesting a "camera in a capsule." The camera travels through the animal's GI tract recording video along the way. Similar technology has been used in human medicine for more than a decade, and Léguillette is pleased with the results in his equine patients. "It's an easy test to do. It's not invasive, horses tolerate it very well, and the images we get back are fantastic, really exceptional," says Léguillette. "It's like a trip inside the small intestine. That's really cool." The device records videos of the intestinal mucosa (mucous membrane that lines the GI tract) while the horse goes about its normal activities. The system has four cameras, a LED light source, and an on-board video recording system with a motion detection system. "It gives you a 360-degree view of the inside of the GI tract," says Léguillette. Sedation or hospitalization isn't needed. The veterinarian uses a nasogastric tube (a thin tube inserted up the horse's nostril) to pump the camera through the esophagus and into the stomach. "That's the benefit of the technique. You don't need special equipment. All you need is the camera and a nasogastric tube, which every large animal veterinarian has. You push the camera through, remove the tube and then it's up to the horse to pass the camera in the manure, and up to the owner to collect the camera," says Léguillette with a laugh. While the procedure may be simple, recovering the camera is another matter. The time it takes for a horse to poop out the camera varies—from two to 10 days. During that time all its manure has to be collected and examined in order to recover the camera. "It's funny," laughs Léguillette. "At first we didn't know how to do it and my intern and summer student were screening the poop, washing it over a tub and it was a big mess. It was a disaster and of course they were laughing." 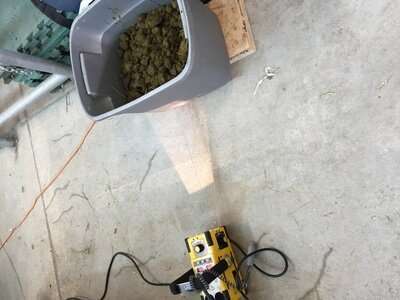 That's when they came up with a better solution: collecting the manure in a big bin and then X-raying the bin every couple of days until the camera was found. During the trial, Léguillette performed the capsule camera examinations on adult horses, foals, miniature donkeys, and even a rhino, after getting a request from an American zoo. "That was interesting. They just put the capsule in the back of his mouth and he swallowed it." The results of the study show the capsule camera produces high-quality close-up images of ulcers, abrasions, polyps or small masses, and bleeding, and allows for a good examination of the stomach and small intestine. 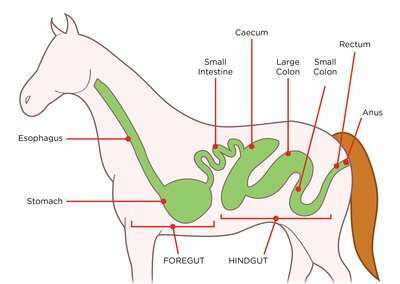 Although it doesn't work very well for the hind gut area that includes the colon, it offers another inexpensive tool in a veterinarian's tool kit. "For stomach and small intestine pathologies, this technique is excellent and readily available to veterinarians and horse owners," says Léguillette. Blowing in the wind: How accurate is thermography of horses' legs?